At any time of year, Prague is one of the most beautiful and atmospheric cities in Europe – but in winter, it takes the crown. 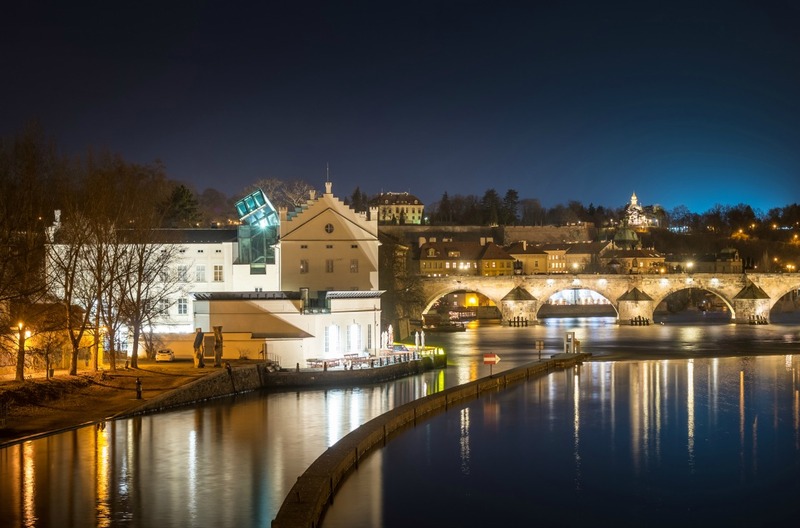 Fondly known as the City of a Hundred Spires, the Czech capital experienced a renaissance after the Velvet Revolution and the fall of the Iron Curtain. It’s a place packed to its spire-topped rafters with regal architecture, cobbled streets lined with shops filled with glistening crystal glass, and cosy courtyards bustling with markets. There’s no bad time to visit Prague, but the magic is amplified in the winter months – just make sure you pack your woollies, as temperatures frequently drop to between -2 and -5°C. To help you plan the perfect trip, here’s a rundown of the best winter activities in the historic capital of Bohemia. Lace up your skates and take to the ice in the twinkling surroundings of this wintry city. A number of temporary ice skating rinks pop up in Prague each year, usually between December and February. The best bit is that entrance to these outdoor rinks is free – you just need to rent some skates. Ice skating at Ovocný trh in the heart of the Old Town – or Staré Mesto in Czech – is particularly popular. This outdoor rink welcomes you to wobble around while enjoying views of the most charming part of the city. Over the Vltava river, the spacious Letná ice rink has a designated area for children as well as a heated gastro tent where you can refuel afterwards. 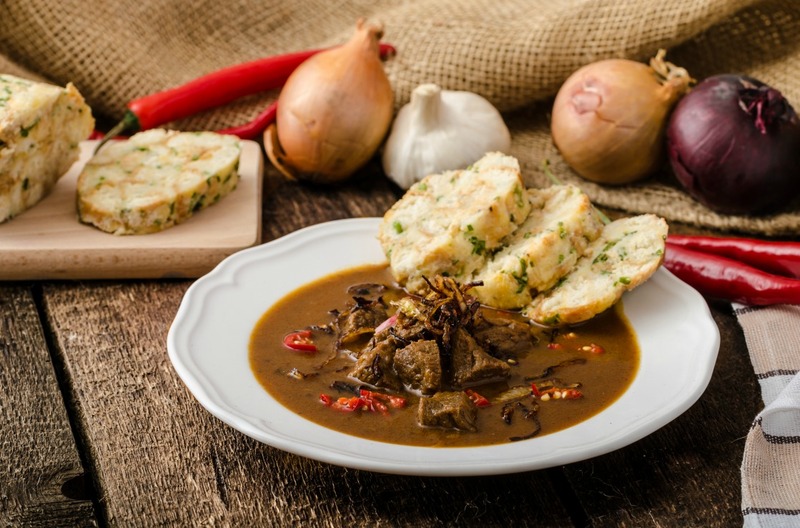 When it’s cold outside, there are few greater pleasures than tucking into something warm and hearty – and Czech food fits the bill perfectly. Stews, soups, goulash and dumplings are staples of every Prague menu, rounded off with an indulgent selection of fried cheese. For a meal to remember, reserve a table at the Michelin-starred La Degustation Bohême Burgeoise. Tucked away modestly in the cobbled Old Town streets, this is arguably Prague’s best restaurant, serving Czech cuisine in a refined way. For something more relaxed, U Medvídků is a delicious eatery that doubles up as a hotel and a brewery. If you’re visiting in December, tuck into the festive Czech traditions. Freshly baked Christmas bread, called vánočka, fills the bakery windows, tempting passers-by to pick up a loaf or two. This soft dough is mixed with raisins, almonds and other sweet treats, and is enjoyed in Prague throughout the winter. Carp, the freshwater fish, is a popular Christmas dish in Central and Eastern European countries. However, you’re unlikely to find many restaurants serving it. In Prague, this fish is saved for the big day, so the closest you’ll come to getting a taste is watching vendors selling it in the streets. Filled with Gothic, Romanesque and Baroque architecture galore, Prague is a treasure trove of sights and photo opportunities. Make your way around the main attractions, enjoying the crisp beauty of the winter setting. To immerse yourself in the historic atmosphere, start in the Old Town Square. Lined with blushing buildings and home to the famous astronomical clock, this gathering place has a fairy tale feel to it. Stroll over Charles Bridge, enjoying vistas down the water, and continue your adventures in Malá Strana on the opposite side of the bank. There are a number of military relics in and around the Malá Strana district, which are well-deserving of your time, including the Powder Tower, Prague Castle and the rainbow-coloured houses of Golden Lane, originally built in the 16th century for the castle guards. Hire a car in Prague to continue your adventures outside of the city. 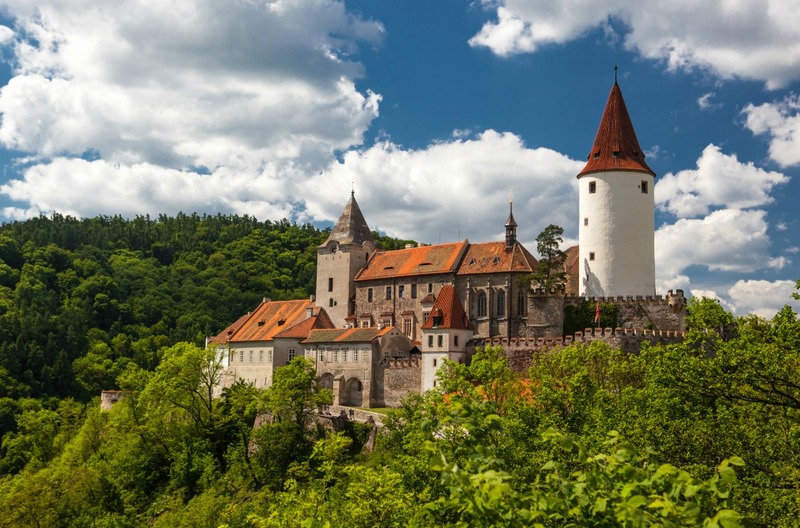 The towering 12th-century Křivoklát Castle is just one hour's drive away, a whimsical fortress peeping up through the trees. Drive for around an hour and 20 minutes north-west from Prague to the Terezín concentration camp – one of the largest in World War II. Today, the site is a poignant memorial, dedicated to its former prisoners. The Roman Catholic church of Sedlec Ossuary in the town of Kutná Hora is a peculiar sight, reached in an hour and 15 minutes, eastbound from Prague. The interior of this curious attraction is decorated with human bones, including an eerie chandelier, composed of one of every bone in the human anatomy. Back in Prague, if the cold starts to take its toll, escape the icy conditions in the city’s shops and boutiques. The Old Town – Staré Mesto – has plenty of treasures to trawl through, especially if you’re looking for mementoes or gifts. For serious shoppers, you’ll want to check out the neighbourhoods of Nové Město and Malá Strana for some real retail therapy. This is where you’ll find all the big names. The farmers' market at Rašínovo nábřeží, known locally as ‘Náplavka’, is also well worth a visit. Arguably the best in the city, the National Museum is a must-see attraction. This majestic Neo-Renaissance building, standing at the helm of Wenceslas Square – locally known as Václavské náměstí – explores the rich and fascinating heritage of the Czech capital. There are a number of other specialist museums scattered across the city. The Prague Jewish Museum details the atrocities of the Holocaust, making for a humbling stop on your city route. Modern art enthusiasts should head to Museum Kampa, perched on the edge of the river. This pretty, white building is filled with contemporary works created by artists in the midst of the chaos of the Eastern Bloc. Stroll along the river to the nearby Kafka Museum, dedicated to the 20th-century novelist Franz Kafka. Culture vultures will be in their element in Prague. The city has a thirst for sophisticated culture and serves as something of a hub for central Europe. Go the ballet at the National Theatre of Prague, where Christmas classics are staged every year. For something alternative, head to the MeetFactory or enjoy a puppet show at the National Marionette Theatre. With all of this, and the city’s numerous art galleries, you won’t be left wanting for high culture to experience and enjoy. Home to more than 4,000 animals from 700 species, it’s little wonder that Prague Zoo is considered one of the world’s best. Animal lovers will enjoy a day spent touring this historic attraction, getting up close and personal to some of the planet’s most beautiful creatures. Residents here include gorillas, flamingos, and Malayan tigers. 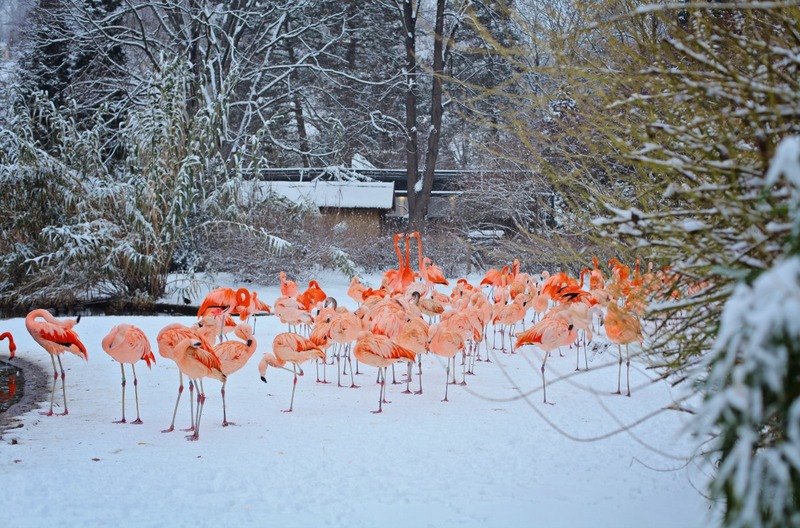 These wild animals are simply stunning – a sight made all the more magical against a snowy white backdrop. As you explore the grounds, learn about the various conservation programmes which are led by the zoo and discover how they’re helping the animal kingdom. There are more Christmas markets in Prague than you can shake a bauble at. Park up the car for the evening, get yourself a mulled wine and peruse the endlessly pleasing array of gifts and trinkets on offer. The Old Town Square in the very centre of the city is arguably the most famous of all of Prague’s Christmas markets. Enjoy a festive stroll through the lanes, keeping your eyes peeled for freshly-baked trdelník, a traditional local sugar and cinnamon-sprinkled pastry. 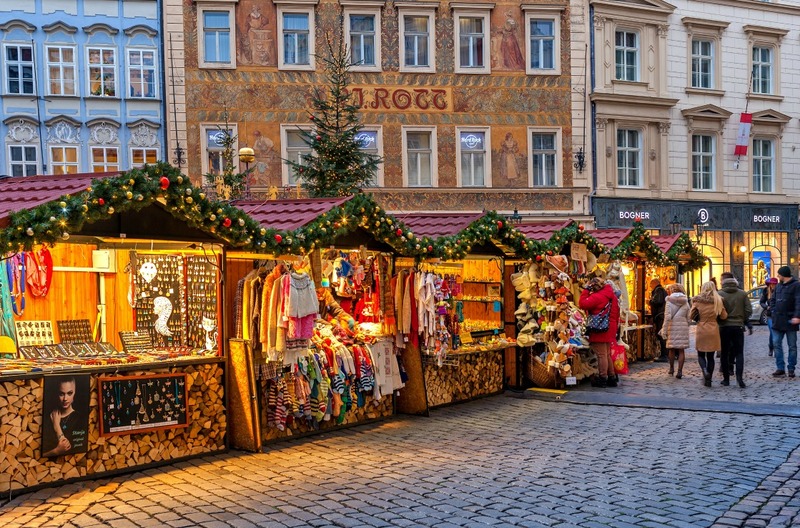 The world-famous Wenceslas Square – cue the carol singing – has its own market too. Though slightly more modest than the Old Town Square's offering, it's every bit as charming. Festive markets also spring into life in the grounds of Prague Castle and Peace Square. 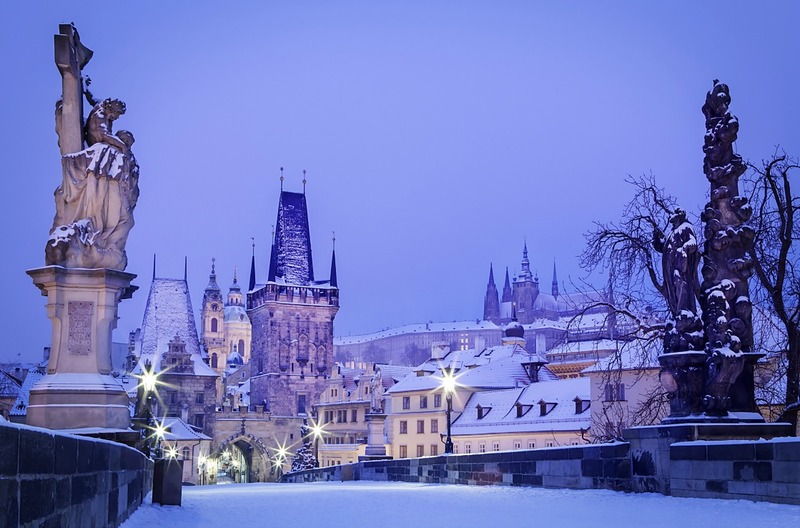 Visiting Prague in winter doesn’t have to be a Christmas affair. However, if your trip did happen to collide with the city’s tinsel-topped schedule of traditional Czech events, then you’re in for a treat. On 5 December, the man in red can be seen strolling through the streets of Prague. This is to celebrate St Nicholas – or ‘Mikuláš’ – Day. Head to Old Town Square for about 4pm to watch the traditional parade unfold, as Santa – accompanied by an angel and a devil – greets crowds of awe-struck children. New Year goes off with a bang in Prague, the sky filling with dazzling fireworks. In early January, the traditional celebrations continue with the Procession of the Three Kings. To recreate and remember the story of Jesus’s birth, three gowned kings ride through the Old Town on camels, carrying gifts of gold, frankincense and myrrh. From stunning sights to festive fun, a city break to Prague during the winter months is a special occasion. Hire a car in Prague to enjoy all these star attractions and those further afield – all in the toasty warmth of your vehicle.